One of the great traditions at the early Walt Disney Company was mentoring. Fred Moore gave advice and mentored both Frank and Ollie. Later, both Ollie and Frank mentored newer animators, as well as giving and getting advice from fellow animators. It was always a case of collaboration and seeking Walt’s approval, which was always related to others, but never to the person directly. That was Walt’s way. The best one could hope for was “Yep... That’ll work” from him. Over the years, many people benefited from the mentoring and advice. 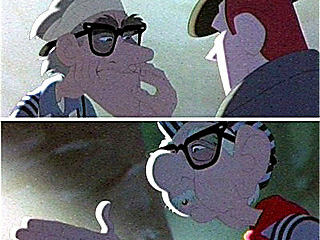 Both Frank and Ollie had a collection of mentored animators who admired and respected the pair. Frank was always the ultimate teacher, and he always brought Ollie along to explain the "Principles of Animation." The pair gave many lectures and always had time for mentoring anyone who asked. Over the years, many animators made the trek to Flintridge for advice and to show progress on their project. 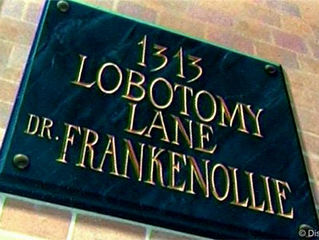 They carted equipment to Frank’s or Ollie’s houses to have private screenings of their latest projects. These screenings were evenings of fun and camaraderie. As seen in “Tales from the Table,” Frank and Ollie would talk with one voice, one picking up where the other would leave off. Their voice was an international one. They received letters with questions from young animators from all over the world. One of the first homage's to Frank and Ollie appeared in the 1995 Mickey Mouse cartoon "Runaway Brain". There they found themselves the namesake of the story’s short-lived mad doctor. In their last years at the Disney Studios, Frank & Ollie mentored many of today's great animators. 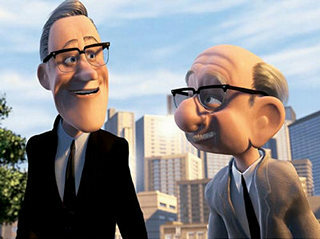 One of them was Brad Bird, who, as a tribute, included cameos of them in his movie, "The Iron Giant". He repeated this with "The Incredibles". Brad would journey to Flintridge, along with technicians and animators to record the iconic soundtrack. Frank and Ollie would share the encounter for days. What they seemed to enjoy most was the visits with Brad, who would share his ideas, explaining the movie to duo, and showing them the character sheets and sketches. Enjoy Frank and Ollie's performances. In retirement, both men wanted to keep this tradition going, and the result was the publication of “Disney Animation- the Illusion of Life”. 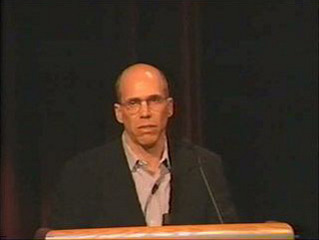 At the "Drawn Together" program at the Academy, Jeffrey Katzenberg, the head of DreamWorks Animation, recounts the effect the "Illusion of Life" has had on him.